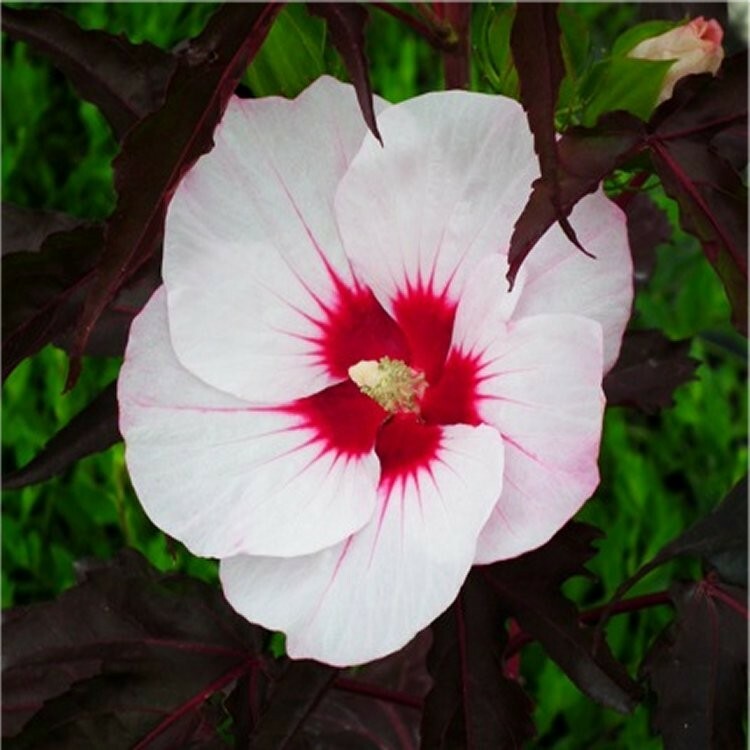 Hibiscus 'Jolly Heart' is a member of the Rose Mallow family, an intriguing shrubby perennial with very large white saucer shaped flowers, each with a vivid deep raspberry coloured centre. 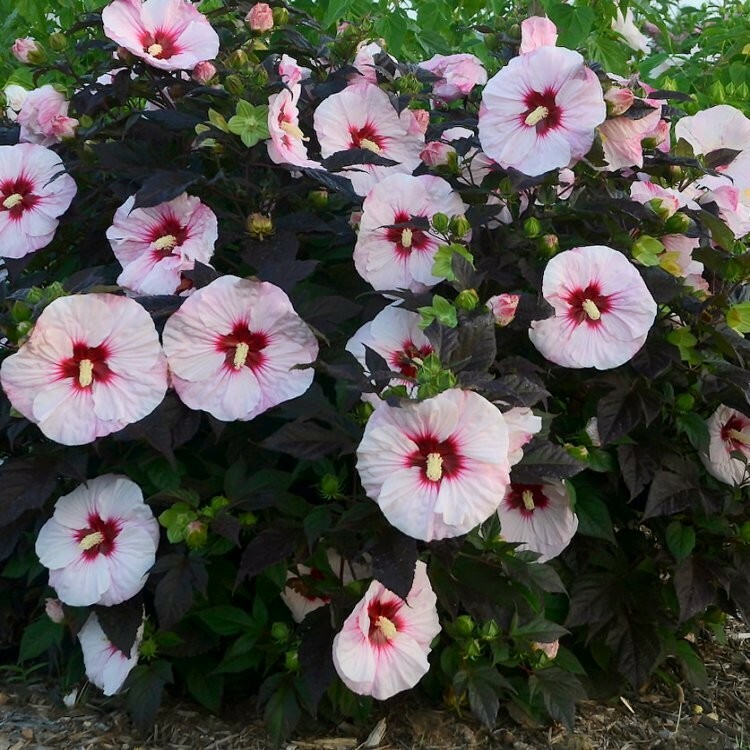 These contrast beautifully against the sumptuous deep burgundy-purple foliage. Out of bloom, the stunning leaves will make a fantastic show on their own, these emerge green, before maturing to a luscious purple colour. 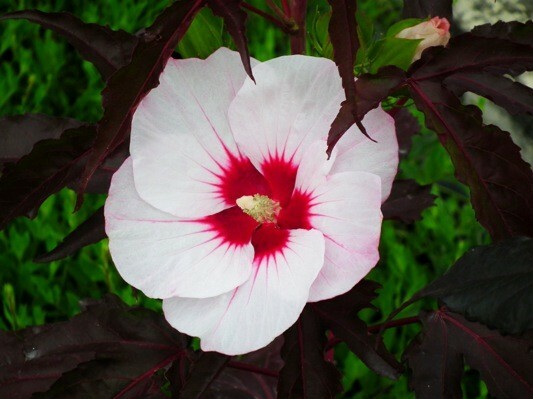 Grow in full sun to bring out the very best colour of the foliage before enjoying the gorgeous giant flowers. Supplied in approx 2-3 Litre containers.